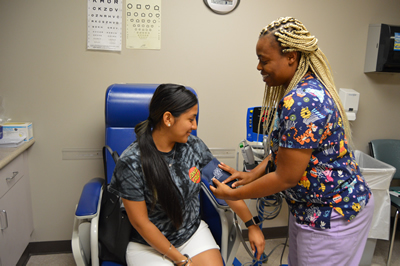 The Florida Department of Health in Seminole County's Teen Choices Health Clinic provides sexual health and family planning education to teens. We also provide services such as free condoms, birth control methods, confidential pregnancy and STD testing and anonymous HIV testing just for teens ages 13 - 17. At The Florida Department of Health in Seminole County, Sanford facility, Teens can be seen in a safe, friendly, confidential place where they can get the help they need and learn the facts. Services are free or low cost and no one is turned away because they cannot afford to pay. You will meet with a registered nurse or counselor during your pre-counseling session. You will then be seen by our clinician for examination, and testing. Call 407-665-3000 to schedule an appointment or for more information.